…is a major part of what I’m always trying to do. 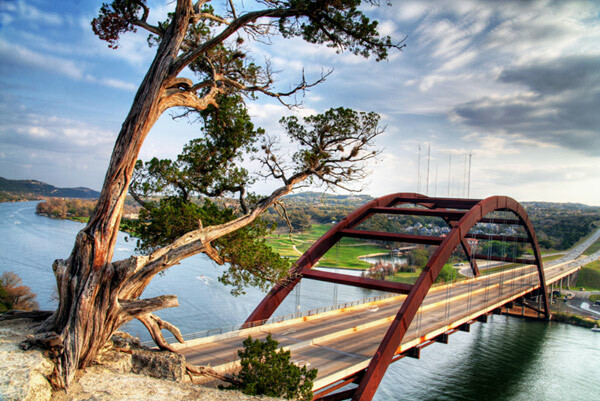 (Using an actual bridge to illustrate the metaphor is cheesy, I know, but bridges look kinda cool, so bear with me). I am not certain if I am actually particularly suited for doing so, but I am sure as hell infatuated with the core concepts of interdisciplinarity and sharing knowledge across boundaries. I am convinced that many barriers and difficulties could be reduced, if not removed, if we were to a greater extent able to forge solutions by fusing knowledge from across different fields. This is why I maintain a vision of knowledge and insights not limited by any kind of boundaries, but rather flowing freely – even though I acknowledge the obvious naivity of the entire idea. It is an ideal situation never fully realizable, but nevertheless worth aiming for. Right from the outset of this crusade of mine, I have been attempting to show how different areas of both research and practice, as well as a wide array of stakeholders could greatly benefit from establishing and maintaining dialogue. Recently I have especially been considering the possible gap between those studying and writing about video games, trying to more fully understand games, and those preoccupied with the inclusion of games in learning and teaching. 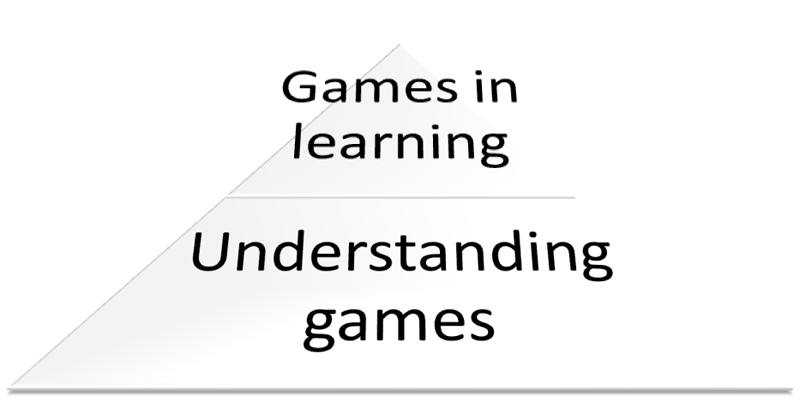 The two approaches may for the remainder of this post be labelled “understanding games” and games in learning”, respectively, and they each encapsulate both researchers, commentators, developers, practitioners etc. The desire to understand games is a goal for the many researchers in the very diverse field of game studies, independent bloggers, dedicated sites, journalists, game developers and so on. These people play games, write about games, talk about games, develop games – they probably love games (just like I do). Among them, they try to identify and understand everything from game mechanics, rules, visuals, narrative and technology to video games culture and video game players. There is an overlap, obviously, but many of the people working with games in learning are not part of the above group, and oftentimes they are not even aware of the existence of such a (loosely defined) community. I must quickly add, that this depiction is both rough and a bit unfair. Many researchers investigating “games in learning” have been paying close attention to game studies and the “nature of games” (e.g. James Paul Gee’s “What video games have to teach us about learning and literacy” and the more recent “Ludoliteracy: Defining, Understanding, and Supporting Games Education” by José P. Zagal). Despite important exceptions, many researchers, consultants and practitioners tend to focus more on learning than on games and studies of games. How do we make these fields interact- like cogs? This might become a very critical issue, if not addressed properly soon. 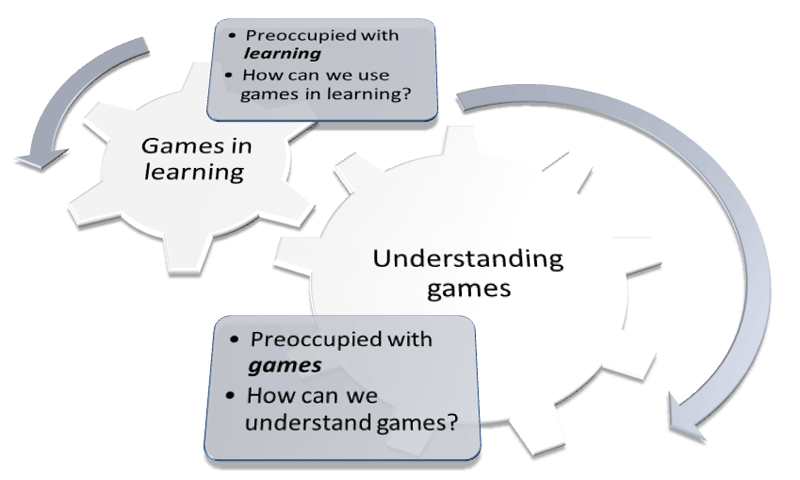 The tendency to look at “games in learning” without paying enough attention to “understanding games” can be identified in several contexts, and I recently experienced it at the IMAGINE roundtable monday, where many participants were eager to talk about “games in learning”, and a bit less inclined to talk about “understanding games”. 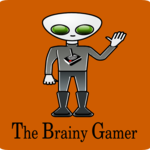 Now one of my favorite bloggers, The Brainy Gamer (also known by the somewhat more common name “Michael Abbott”) wrote another enlightening piece, where he touches upon some of this. When I heard him ask the same question at GDC a few months ago, nearly every hand in the room shot up. When he posed it again this morning at the Games, Learning, and Society Conference, the response fell somewhere between a handful and a smattering. Such is the difference between GDC and GLS – two conferences devoted, in very different ways, to games. How can we best explore, understand, and harness the unique power of games – and the possibilities we’ve yet to identify – in our teaching and learning? If it is not entirely clear why I consider it so immensely important to somehow merge the two fields, allow me to elaborate. Ludoliteracy - how can we teach about games without understanding them? 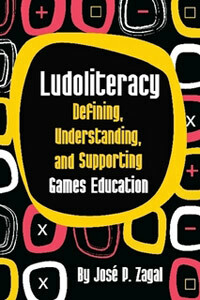 Let’s start with what may be understood as “game literacy” or “ludoliteracy“, as the notion is dubbed by José P. Zagal. 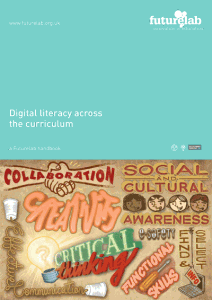 This literacy is a subset of “digital literacy“, and the main focus is on supporting student’s ability to play, critically understand and analyze, and produce games. What are the core concepts of games, what does it mean that games are “rule-based systems”, what makes up the gameplay, how do games tell stories, what makes games appealing, how do games relate to other cultural modes of expression, what does it mean to “play responsibly” – all questions that could very well be asked and discussed in the classroom. 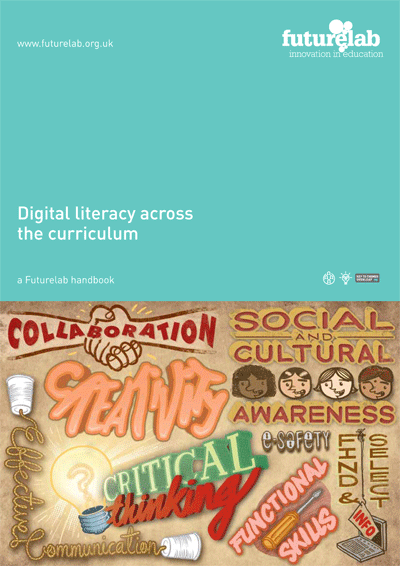 Just as we are approaching books, movies, advertising, the internet etc, we cannot just expect children and young people to develop this critical literacy by themselves. It quickly becomes clear, though, that doing something like this makes great demands on the ludoliteracy of the teacher. 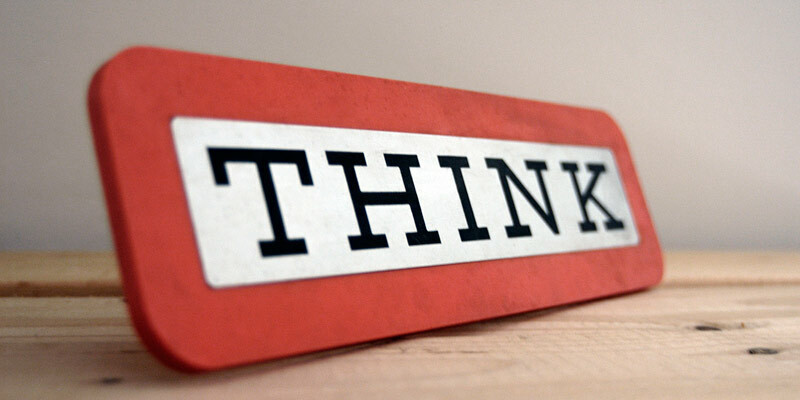 Education about the media should be seen as an indispensable prerequisite for education with or through the media. 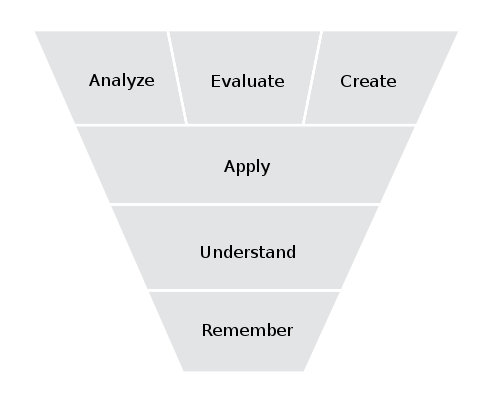 Likewise, if we want to use computer games or the internet or other digital media to teach, we need to equip students to understand and to critique these media: we cannot regard them simply as neutral means of delivering information, and we should not use them in a merely functional or instrumental way. 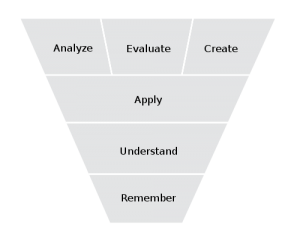 Games have different affordances when compared to other types of media, and it is these characteristics, that (in some cases) make them especially suited as learning tools. If those people supposed to use games don’t understand games and their core principles and mechanics, then how would it be possible to harness the full potential? We must strive to understand games! One of the obstacles hindering this approach would be that it is not entirely clear what it means to “understand games”. Most people trying to do so would probably agree with video game researcher Espen Aarseth, who said that “we are only just beginning, so don’t expect the world at this stage”. Or with Michael Abbot’s comment “heck, we’re still trying to figure out what game criticism is and should do”. That much is true; we are just beginning. But this should certainly not prevent us from perceiving the described fields as closely related and interdependent. I don’t know exactly what to do, and I’m afraid easy solutions are not among our choices.